‘The Hitman’ trains Gorman (14-0) who faces the toughest night of his short career when he defends his WBC International Silver championship against former world title challenger Alex Leapai (32-7-4) at Manchester Arena on Saturday 22nd December. “He has not been in a war yet, he has not been hit on the chin and there are boxes to tick, but he will get there. Gorman, 22, will be making the first defence of the title he won when he knocked out Mohamed Soltby last November when he faces Leapai. But Hatton believes it will not be a step too far despite the Aussie based Samoan’s experience that includes a challenge for Wladimir Klitschko’s IBF, WBA and WBO belts in April 2014. 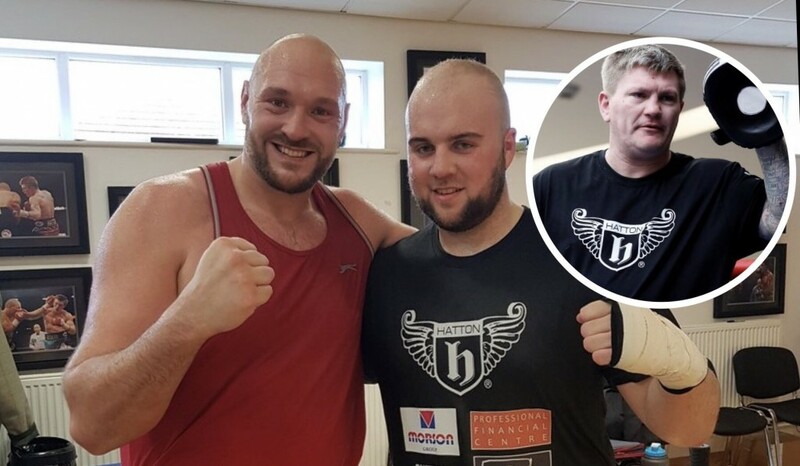 Hatton recalled: “The first day he came in my gym, he was 18 years of age and I said; ‘How long has he been boxing?’ and I was told just over 12 months. “My jaw just hit the floor. He was so natural. From then he has progressed even further and won a WBC international belt already and there are big, big fights. Gorman will almost certainly fight fellow unbeaten prospect Daniel Dubois in the future and although he is keen for that to happen, he is happy for both boxers promoter Frank Warren to stage the fight when the time is right. “He has so many more tools in his bag than what Daniel has got and Nathan says he hardly lost a round when they sparred on the GB squad. IBF world featherweight champion Josh Warrington takes on former two-weight world champion Carl Frampton at the Manchester Arena on December 22nd live on BT Sport Box Office. Mark Heffron and Liam Williams contest the vacant British middleweight title and Belfast’s blue chip featherweight prospect Michael Conlan (9-0) takes on former commonwealth champion Jason Cunningham (24-5). In a step up, Nathan Gorman puts his undefeated record and WBC International Silver Heavyweight Title on the line against former World Title challenger Alex Leapai.